Brain fog is when you suddenly get lost driving a route you’ve driven a million times before. Brain fog is when you need to think way too hard to remember things you should know automatically, like the names of your coworkers or the time you need to pick your kids up from school. Brain fog is when you forget what happened at the top of a page before you get to the bottom. Brain fog is not just being tired, and it can show up regardless of how much sleep you got (although sleep deprivation certainly never helps!). If you have trouble focusing because you didn’t sleep, you’re tired. If you have trouble focusing even though you slept plenty and your body isn’t tired at all, it might be brain fog. It’s not fun. Unfortunately, it’s also very hard to pin down – brain fog is a symptom, not a disease, and it’s such a vague symptom that underlying cause could be almost anything. Sometimes it’s caused by serious diseases, like Hepatitis C infection, (in this case, the technical term is “hepatic encephalopathy”) or Lyme Disease. It can also be caused by harsh treatment regimes, most famously chemotherapy. Sometimes it’s menopause or pregnancy, or any number of other physical conditions that are perfectly healthy but just very demanding. That’s way too much to tackle in just one article, so here’s a look at what you should know just about brain fog and Paleo. Some people find that Paleo improves or even completely alleviates their brain fog. Why is this? Other people never had brain fog and suddenly get slammed with it after going Paleo. Help! What’s going on? Other people try Paleo for brain fog, but it doesn’t help. Why not? This is the best-case scenario: switch to Paleo and your brain de-fogs itself. What’s the story behind that? Maybe it was the gluten. Brain fog is a symptom of Celiac Disease, and this study found that in patients with Celiac Disease, brain fog improved dramatically on a gluten-free diet. If you had an undiagnosed gluten sensitivity before going Paleo, it’s not unreasonable to guess that cutting out gluten might have done the trick. Barring gluten trouble, maybe it was the meat. This study found that people eating vegetarian or vegan diets frequently experience brain fog. That might be because they’re low in important nutrients like iron and B vitamins (nutrients that are also common deficiencies for people with Celiac Disease thanks to intestinal malabsorption). Maybe you started drinking more water, and/or stopped being afraid of salt. That sounds completely contradictory, but this study surveyed people with brain fog and found that both a high fluid intake and a high salt diet tended to help. Maybe it was also the hormonal changes and improvements in blood sugar. Anyone who rides the blood sugar rollercoaster on a regular basis can tell you that low blood sugar is one common trigger for brain fog-type symptoms. Hypoglycemia and poor blood sugar control is a major risk factor for cognitive impairment (especially in diabetes) and contributes to more serious problems like Alzheimer’s Disease down the line. If you were on that crazy cycle of highs and crashes and Paleo helps get you off it and improve your carb tolerance, then it’s not surprising that you might see cognitive improvements. It might also be inflammation. This study found that in Hepatitis C (a known cause of brain fog), symptoms can actually start before there’s a direct effect on the liver, possibly by causing “cerebral and/or systemic inflammation.” But all kinds of things besides Hepatitis C can cause systemic inflammation, and inflammation is associated with cognitive decline in the long run. Maybe taking up an anti-inflammatory Paleo diet improves symptoms that way as well. Of course, it’s impossible to leave out the gut-brain connection: your gut health is incredibly important for all things brain-related. Paleo is a great diet for the health of your gut flora and your intestinal barrier; that alone might have benefits. One last potential reason: maybe Paleo helped with a more serious disease that was underlying the brain fog. Brain fog can be a result of hypothyroid disorders, Chronic Fatigue Syndrome, Fibromyalgia, or the early stages of liver failure. Thyroid health, CFS, chronic pain, and liver health are all affected by diet. If Paleo helped address those underlying causes, then it’s easy to see how it could help alleviate the symptom (brain fog). Now for the bad news: what if you go Paleo and that’s when the brain fog starts? Help! What’s causing it and what can you do? For starters, give it a week or two, because the switch from junk-food city to Paleo can be a crazy time for everyone. Every body reacts in its own way to that kind of a shock, and there’s no telling what your particular body is going to do until you take the plunge. Low-carb flu. 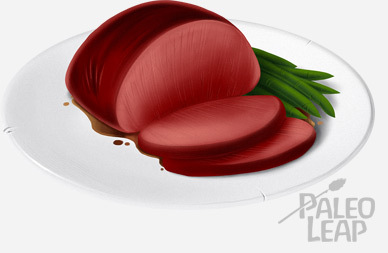 Paleo is not (necessarily) a low-carb diet. Low-carb flu (flulike symptoms after suddenly cutting carbs) is a common but completely avoidable cause of brain fog during the transition period. Don’t put yourself through that: if suddenly dropping all starch from your diet makes you feel awful, switch to high-carb Paleo first and then slowly taper down until you find a carb level that you like for the long term. It’s worth noting that many people who go full-on keto eventually find that their brain fog completely disappears, and their brain feels sharper than ever. If that’s you, great! But it’s not for everyone; some people just feel better with more carbs. Not enough calories. Even if you want to lose weight, you can’t just drop all grains, legumes, and sugar from your diet without adding more meat, vegetables, and healthy fats. If you don’t, you may be unintentionally starving yourself, and starvation seriously messes with cognitive function (this study did an experiment on mice but also includes a good explanation of human evidence, from the Minnesota Starvation Experiments to anorexia). Past the transition period but still having symptoms? Check your carbs and calories again: they might be lower than you think. A “moderate-carb” diet means eating starchy tubers (potatoes or sweet potatoes) at least once a day, not a few times a week. And it’s surprisingly easy to undereat on Paleo foods if you’re not doing a bunch of nut-flour treats. There’s clear evidence that withdrawal and detox from recognized addictive substances (e.g. nicotine or alcohol) can affect cognitive function. So far, no published studies have explored the effect of “withdrawing” or “detox” from other substances (and in the gluten-free diet studies above, there was an immediate improvement, with nothing to suggest that the patients were having “detox symptoms” from the gluten). It’s true that liver cirrhosis or other liver failure can cause cognitive symptoms, partly thanks to a buildup of toxins (the liver is your major detox organ). But in this case, the brain fog is caused by a buildup of toxins, not by the process of getting rid of them. Also, liver cirrhosis can be deadly. If you have it, you need to be at a doctor’s office, not trying to cure yourself with detox supplements. If you keep having brain fog symptoms after the transition period, and if you’re confident that you’re eating enough carbs and calories for your activity level, there might be something else going on, and it’s probably time to talk to a nutritionist or a doctor about it. You had it before, and you have it now. Paleo didn’t help. What gives? The most obvious answer is that diet was not the problem causing the brain fog in the first place. If food wasn’t the problem, then diet changes aren’t the answer. Remember from above that all kinds of things can cause brain fog. Some of them are serious; some of them aren’t. Some of them we have cures for; some of them we don’t. Paleo is a fantastic diet, but it can’t magically turn chemotherapy into something your body is really thrilled about. Brain fog can be a symptom of potentially deadly diseases: if you’re struggling with it, talk to your doctor about what the causes might be. It’s hard to pin down what brain fog actually is – it’s a symptom of many different problems, and almost anything could conceivably cause brain fog to some extent. The suggestions above hopefully gave you some leads for understanding how brain fog relates to Paleo in particular. If your brain fog symptoms disappear after going Paleo, great! It could be any number of things from gluten to inflammation to healing an underlying thyroid or liver problem. 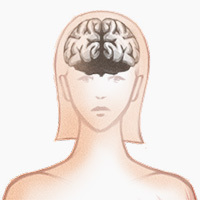 If brain fog suddenly starts after going Paleo, check up on your carb and calorie intake. If Paleo doesn’t help at all, don’t ignore it; go talk to a doctor.